The repair parts of the Daihatsu Mira that the clerk is riding, but this has been adapted. It was a batch. The tie lot end boots ordered at the same time were done-it was small and I was excited. I will not buy it anymore. This review is about item#11084762. Although it is an external product, there is no problem at all in use. I am satisfied with the cheap price. 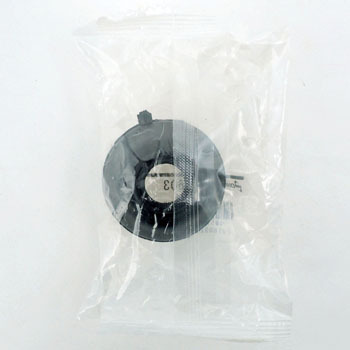 I am satisfied with the quality of genuine parts, and the rest is durable. This review is about item#68210223. There were no problems with the dimensions, and there were no problems with the installation. This review is about item#11084367. I don't think there is any difference with genuine. And this cospa is assent. This review is about item#11084981. There is almost no break in Toyota's passenger cars, but for some reason light break? ? This review is about item#11084866. I change from time to time with cars with a travel distance of 100,000 to 200,000 kilometers. If it is a car for normal use, I think that if you replace it once, you may have the next one without replacing it. This review is about item#11084455. I do not think that it is a problem as a product. However, I do not know unless I try to use durability. As for the price, Monotaro was the cheapest. The same manufacturer of ball joint boots was selected because tie rod end boots also used Ohno rubber. It is cheaper than the genuine product, but is satisfied with no problems with the quality. I think that it is not a problem because it is cheaper and equivalent than the manufacturer's stock. A crack was found in the lower arm dust boot of Suzuki Swift, so it was replaced. I used Ohno rubber instead of the genuine product, but I have used it without any problem so far. I would like to see a little more. This review is about item#11084351. I used it with AK12 March 12 SR. In genuine, it will be an ASSY exchange, so it is really helpful to be able to get it separately in this way. We have exchanged a number of machines so far, but it was not dead to the ball joint just because the boots had deteriorated, so if only after exchanging the boots, it was in the wallet It is also eco-friendly to the earth. There was no problem at all and the durability was also good. It is a favorite product. Since it was cured and cracked in a tick and replaced, I'm very happy to replace it. By the way, genuine parts are basically non-returnable, so basically no problems will occur unless I have the model number properly or under investigation under my own responsibility. This review is about item#11084972. The size is perfectly attached to Daihatsu's esse. Used to replace lower ball joint boots of Suzuki Alto HA23S. I have used the same product several times so far, but I think it is the same quality as pure. it's recommended! I exchanged because it is before the vehicle inspection! As of now no grease leaks It's okay!